There is a growing awareness of how sitting all the time is bad for our health. There is a growing demand for the sit-to-stand desks in the workplace. People are opting to try and move more. However, sometimes we just have to sit in our cars as we are stuck in traffic. We can't really avoid it. All those hours in the car can contribute to low back pain. Especially if we get road rage and tense up all of our muscles. If we are stuck in our cars, at least we can drive with our low backs supported. You don't have to invest in the latest, greatest lumbar support pillow 2000. As seen above, you can make your own support from a towel you already have. Living in Southern California, I have an abundance of beach towels. I took one of those towels, folded it in half lengthwise, then rolled it up. Voilà! 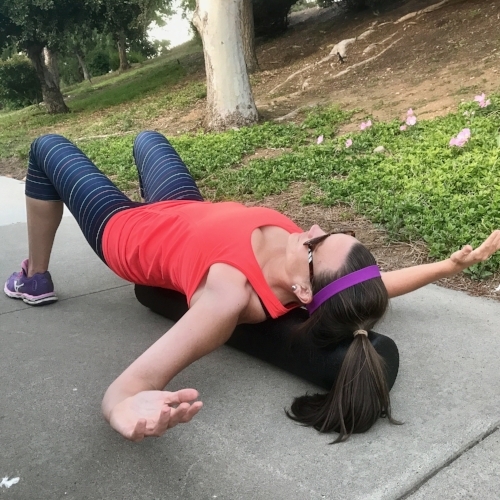 A lumbar roll perfect for supporting your low back and promoting good posture while in the car. I'd also like to point out 2 more important safety tips for driving/riding in cars. Make sure your head rest is positioned properly. The top of your head rest should be level with the top of your head, so in the event of a collision, your entire head is held in line with your body to prevent whiplash. You should also try to minimize the distance from the back of your head to your headrest (4 inches or less). Have you ever suffered from shin splints? Achilles tendinitis? Plantar fasciitis? Ankle sprain? Knee problems? Foot drills are simple, easy, and a free way to combat these issues - if done daily. The foot does a lot of work for the body. Tremendous stresses are placed on the foot. When running, the foot sustains forces up to 7x your body weight. With jumping activities the forces get up to 20x your body weight. If you think about how you can take ~1750 steps when running a mile, that 7x your body weight really adds up quickly! The foot drills work by developing a clearer neurological pathway from the foot to the brain. When you practice activities, they become easier. The foot drills challenge your balance and proprioception (awareness). Usually the balance and muscle awareness we have come from input from our muscles. Our feet don't have many muscles in them, and so it is harder to develop this pathway to the brain. Also our feet are about as far from our brain as you can get, therefore the neurological pathway is the longest. This is why you need to do the drills DAILY! The more you do them, the better the neurological connection between your feet and your brain. Developing a better brain-foot connection leads to a more steady and surer gait. When your foot strikes the ground, your brain is aware of the process, it controls your foot, and you have a stable landing. There are a total of 6 foot drills. Each drill should be done over ~25 meters. You can do the drills at your own pace. To do all 6 drills, it takes about 4 minutes. Those aren't so bad are they? Pretty simple. You can do them in the office (like Dr. Emily did for the photos here) or right before your daily exercise. The idea behind these foot drills came from Dr. Russ Ebbets. He is a chiropractor with an extensive background with USA Track and Field. He started implementing these drills in his athletes in 1987, and found that if done once daily, his athletes stayed healthy and were able to perform better. May has been all about posture and bikes. Bikes and posture. They are two things that Dr. Emily is pretty passionate about. We've said it before, and it still holds true--good posture isn't a sometimes thing; it's an all the time thing. With all of our constant use of technology, it's really easy to practice bad posture. I'm going to alter the famous Will Durant quote to read, "we are what we repeatedly do. 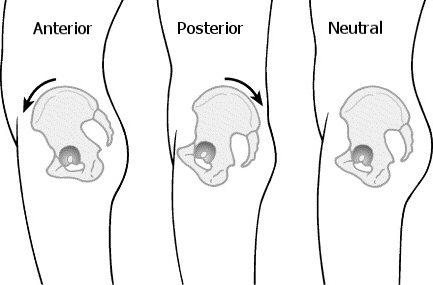 [Bad posture], then, is not an act, but a habit." Like any bad habit though, we can fight it and correct it! This week, we are going to talk about five stretches/exercises to give you better posture. When doing these keep in mind that none of these should hurt or cause you pain. A stretching feeling is ok, but if these are painful, STOP! Standing in a doorway (or park shelter post), position your arm and shoulder at 90° angles. Rest your hand and forearm along the door, and move your body forward until you feel a stretch in your pectoral muscles. Hold for 20-30 seconds. Repeat on the other side. Perform 3-4 times throughout the day. This works best if you have a long (36") foam roller. 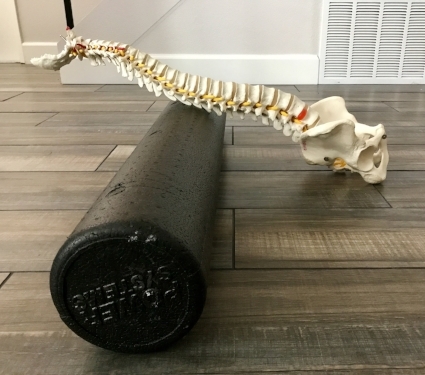 Lay the foam roller on the ground, then lay on top of the foam roller, so your spine is on top of the foam roller. Bring your shoulders up to make a 90° angle with your body and bend your elbows so they also form a 90° angle. Then let gravity do its thing and open up your chest. You can play with the angles of your shoulders/arms a bit to find the key stretch for you. Hold this for 20-30 seconds. Perform 3-4 times throughout the day. Sitting on a chair, let your arms just relax by your side comfortably. From this position, think of squeezing your shoulder blades together. Make sure you keep you shoulders relaxed. Think of squeezing the shoulder blades BACK and DOWN. I like to visualize trying to hold a marker between my shoulder blades. Hold the squeezed position for 8 seconds before releasing. Repeat 5 times. Perform these sets 3-4 times throughout the day. Start from a sitting position. Slowly bring your right ear towards your right shoulder. Place your right hand over the top of your head to provide some gentle pressure for an added stretch. You can also sit on the palm of your left hand to add more of a stretch. Hold this stretch for 20-30 seconds. Repeat on the other side. Perform 3-4 times throughout the day. This is very similar to the stretch for your upper trapezius. Again, start from a seated position. Slowly bring your chin down and to the right as if you are trying to smell your right under arm (mine smells like spring flowers). Place your right hand over the top of your head to provide some gentle pressure for an added stretch. Hold for 20-30 seconds. Repeat on the other side. Perform 3-4 times throughout the day. From a standing or seated position, move your arms out in front of you. Interlace your fingers, turn your palms away from you, straighten your arms, then move them overhead. Press out through your hands to keep your arms straight. When performing, try and keep your core muscles working, so you don't arch your back. Hold this position breathing deeply through your belly (see last week's post) for 20-30 seconds. Perform 3-4 times throughout the day. Those aren't so bad! You can do them at home, at work, and anywhere in between (like when you're out hiking with friends and bribe them to take photos for your blog)! And now we can reword that quote to say, "we are what we repeatedly do. [Good posture], then, is not an act, but a habit." Make good posture a habit for you! Still need some convincing to work on your posture? Studies show that people with upright posture feel more enthusiastic, excited, and strong! Good posture is also associated with higher self-esteem, less social fear, and fewer negative emotions!